The workplace is a battleground of ideas. Colleagues compete for who comes up with the best plan about what needs to be done at any given time, and try to implement their thoughts into productive action. People’s personal stakes get involved in the ideas for which they vouch. Even the most educated dismissal of someone else’s idea at work can lead to a confrontation which can break out in a multitude of ways. The act of challenging someone else’s idea should be traversed carefully, and this article aims to present two points to keep in mind when doing so. In order to navigate confrontation-free in the workplace, you should aim to master the art of disagreeing without confronting. Your disagreements with the people you work with should be of factual nature and always be backed by arguments for the greater good of your company’s greater goals. Remember that even if you present factual evidence, the manner which you present it, the timing of your presentation, and the mood of the audience you are presenting to, will influence whether or not your ideas are accepted. In order to present a well-accepted idea into the corporate world, you must show exactly how most, if not all, of your stakeholders serve to gain from your plan and do it in a way that entices them to listen. Explain methodically, why your plan is beneficial to your company’s goals without showing any bias toward your own idea. 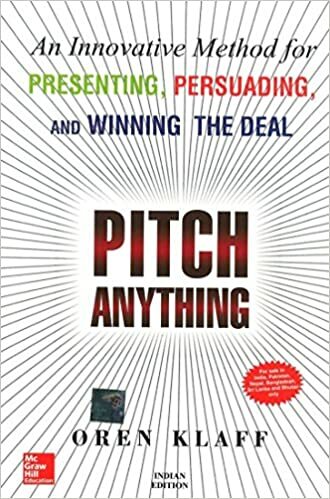 Once your listeners sense that you have a high stake in the idea you are selling, they will be put off, even if the merit and points of your proposal are sound. Agree with concerns about what you present, and correct yourself when people point out mistakes in your well thought-out plan. In order to lead a successful professional career with minimal confrontations, keep tabs on the tone with which you speak and prevent communicating in any form which can be interpreted to be demeaning. Speak to your colleagues in a pleasant and down-to-earth manner, without showing personal and emotional reactions to any occurrence which is serves to deviate from the idea that you propose. Be perceived as unattached to the ideas you present should they be shot down. When socializing with coworkers during times which are not important, remember that the personable version of yourself will be what they expect to see when things begin to matter. It is difficult to control in which manner we interact with someone and attempt to switch the friendly version of ourselves on or off. You’ll be seen as unauthentic if you act drastically different between times of performance and times of relaxation. Your coworkers may perceive you to be a kind and acceptable person, and your objection to an idea of theirs in a professional setting might draw an unexpected reaction when all they expect from you is kind agreement. Know that your coworkers will judge you by the lightest moments that you show them, so be careful in seeming too nice when the stakes aren’t high. The reputation they perceive surrounding you can lead to surprised listeners and unexpected confrontations. Make it clear that you are always focused on the task at hand in the workplace. Once your colleagues see that you tend to follow logic toward sustainable and mutually beneficial solutions, people will disagree with you less. Your motives at work will be known, as it is difficult to hide intentions from people you see every day. So make your motive one which concerns itself with the company’s greater good. In order to minimize confrontations, your motives honest motives should aim to benefit your employer. It will be hard to back ideas of yours which do not have direct connections to possible benefits for as many parties as possible. In the workplace, the ideas that generate the most benefit to the largest group of people will likely win in battle. Present your ideas when you are confident that the number of beneficiary parties is high, and the resulting effect is a concentrated dose of improvement.